µTorrent is a closed source BitTorrent client owned by BitTorrent Inc, It is the most widely used BitTorrent client next to Xunlei. The µTorrent is designed to use minimal computer resources while offering functionality comparable to larger BitTorrent clients such as Vuze or BitComet and also it provides performance, stability, and support for older hardware and versions of operating system.It is available for Microsoft Windows and Mac OS X. A µTorrent Server is available for Linux. 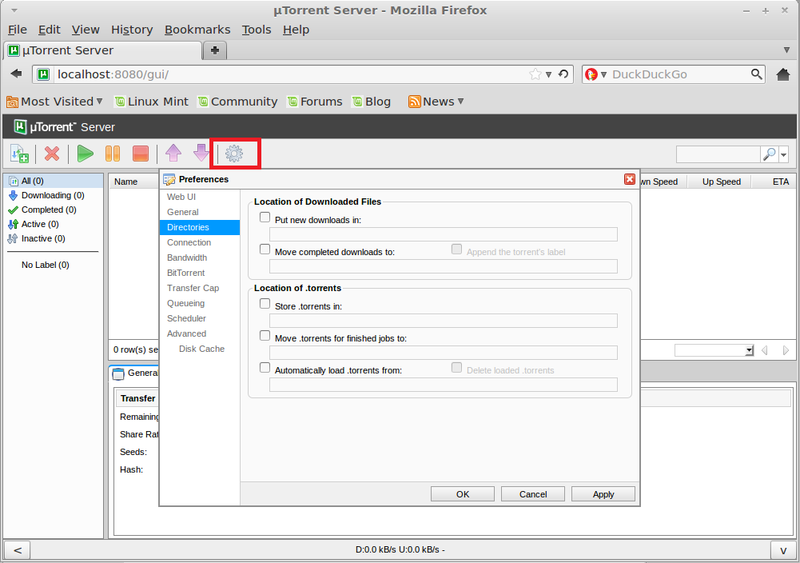 Here is the step by step guide to setup µTorrent server on Ubuntu 11.10 / Linux Mint 12. Download the Latest version of µTorrent server from the official website or simply enter the following command to download the current version (3.0 build 25053). Navgate your web browser to the following address. User name is admin and leave the password field empty. Screen Shot of uTorrent running on Linux Mint 12. Screen Shot of uTorrent running on Ubuntu 11.10.